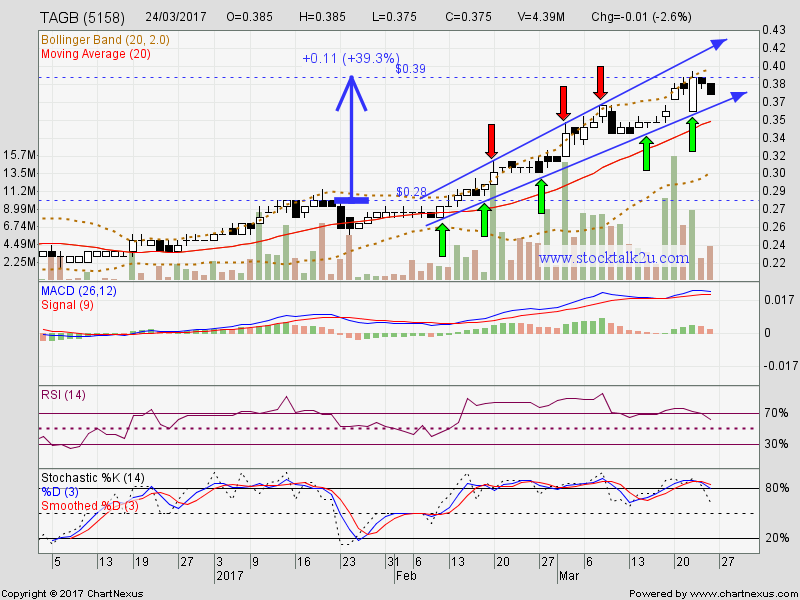 TAGB (5158) forming higher high & higher low. 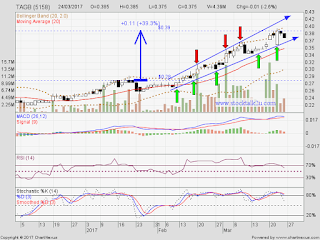 Immediate support @ RM0.365 level. Subsequent resistance @ RM0.42 level. Insider keep acquisition of shares via open market. 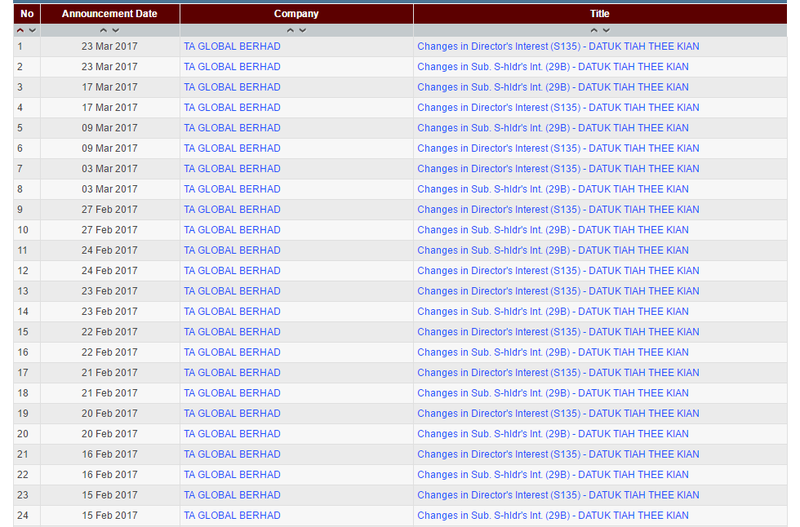 Jan till March 2017, the share price keep moving up, insider still keep on acquisition the share through open market.